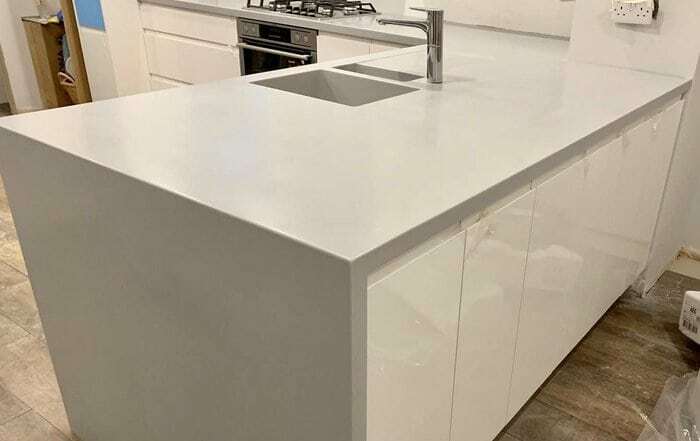 Our client Marie Dennis from Skegness chose to have a Deep Sky Corian worktops to compliment her cream kitchen. 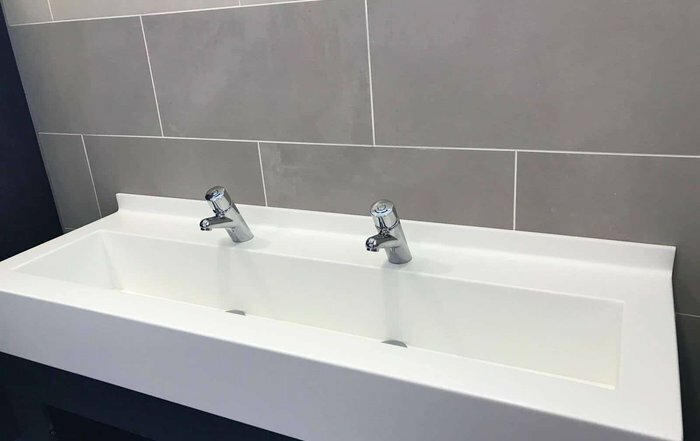 The worktops were manufactured at 38mm deep with a soft 3mm radius on the edges and polished to a soft sheen. The image shows the worksurfaces with an overmount sink ( supplied by the client) and a stunning island. Marie’s unique style really makes this a showcase kitchen. From template to installation: 5 days. The balance has been sent over by Bac’s earlier today. 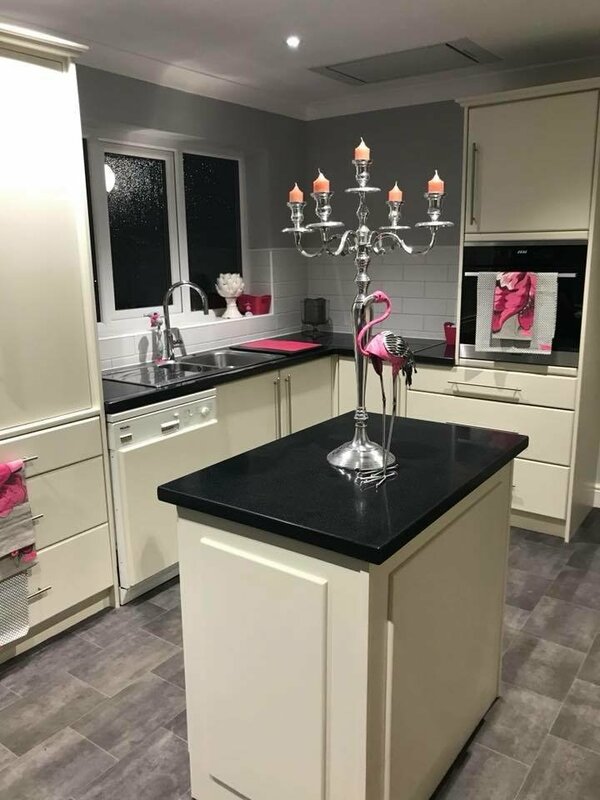 Please thank Wayne and Connor for the fantastic job done, my kitchen looks beautiful and I am totally pleased with it and I will say that the worksurface was the cherry on the cake. Thank you to you for the very efficient service, all done in one week, amazing! I have taken pictures myself, well! it does deserve a little brag on my part because it is so gorgeous, but yes you have my permission to show pictures on you studies page. 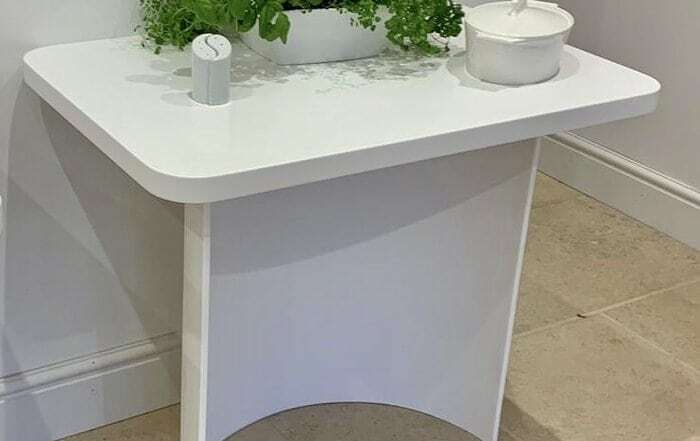 We are a family run company with over 20 years experience in supplying and installing high-quality Solid Surface Worktops from the top manufacturers such as Corian, Staron, Tristone and LG Himacs, throughout the UK.